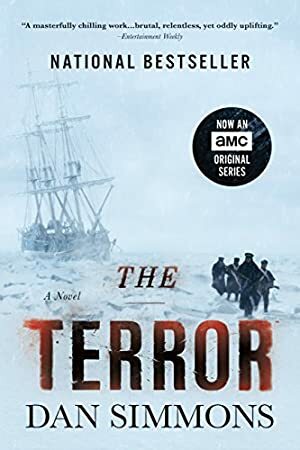 Greeted with excited critical praise, this extraordinary novel-inspired by the true story of two ice ships that disappeared in the Arctic Circle during an 1845 expedition-swells with the heart-stopping suspense and heroic adventure that have won Dan Simmons praise as "a writer who not only makes big promises but keeps them" (Seattle Post-Intelligencer). THE TERROR chills readers to the core. Log In to track Dan Simmons on eReaderIQ. to be notified each time the price drops on any book by Dan Simmons. to stop tracking Dan Simmons. We started tracking this book on April 10, 2013. The price of this book has changed 15 times in the past 2,204 days. The lowest price to date was $2.99 last reached on December 4, 2018. This book has been $2.99 4 times since we started tracking it. The highest price to date was $10.99 last reached on January 7, 2019. This book has been $10.99 5 times since we started tracking it.